The Hampton Roads – Tidewater area has a wide range of freshwater fishing habitats including lakes, ponds, creeks and swamps. These areas sustain populations of largemouth bass, chain pickerel, crappie, sunfish, white perch, catfish, gar, carp, and other species. 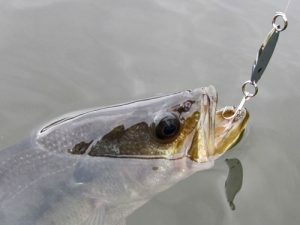 Anglers can fish from the shore, by wading in shallow areas or with bass boats, john boats, canoes, kayaks, or other small craft. For visiting anglers, professional fishing guides are available. Guides usually provide a boat, rods, tackle, and other essential fishing gear. Their local experience helps anglers to catch fish in a variety of situations.